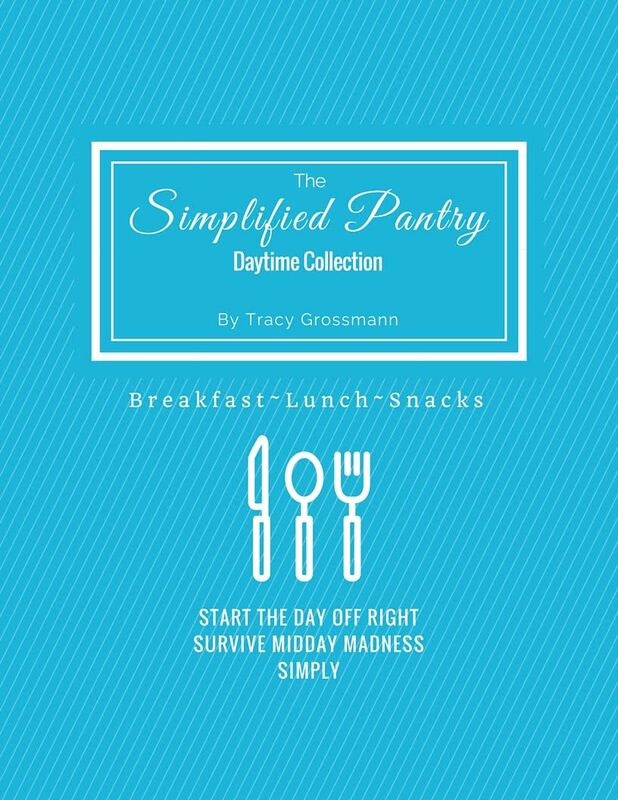 The latest releases from Simplified Pantry will drastically reduce your time spent figuring out what to feed your family, 3 times a day, every day. Don’t let breakfast & lunch get you down! Make all the meals – simply, healthfully, frugally. 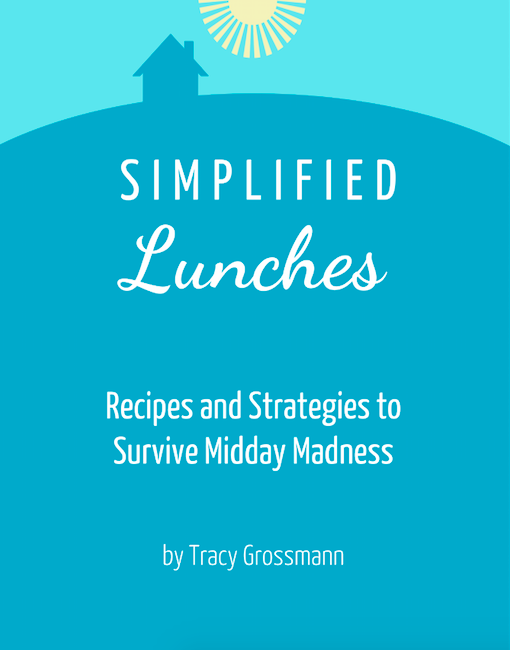 Simplified Breakfasts & Simplified Lunches takes the thinking out of the most tiresome meals of the day. 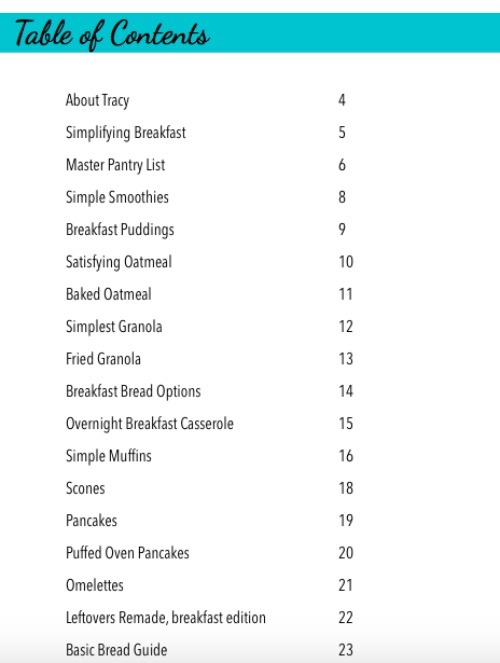 The Simplified Pantry method addresses the whole food cycle: planning, shopping, and cooking, making it easy for you to get food on the table again and again. These healthy, whole-food recipes are easily adjusted and altered according to your family’s tastes and whatever you have on hand. Have you noticed that most home management systems claim that having a menu plan is essential? So you try it. But do you only plan dinner? What about the fact that you and all your people actually need to eat three times a day? Rather than ignore that fact, plan for it. 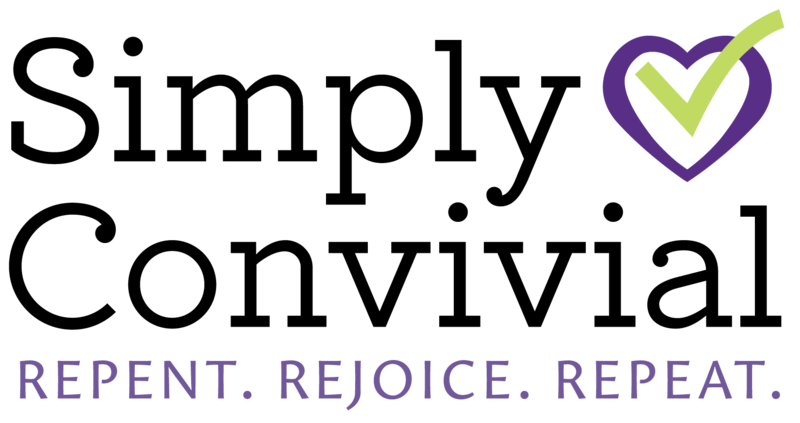 You’ll increase your sanity and peace! 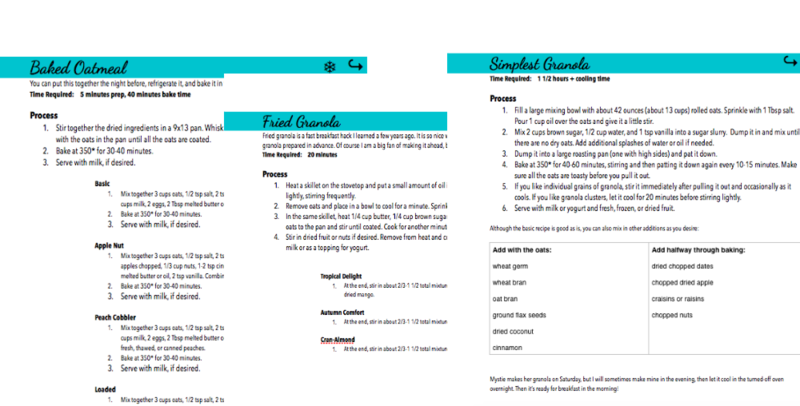 These 20-page ebooks will make it easy to feed your family, or – better yet – delegate the preparations to them! Meals shouldn't be that hard. Now they don't have to be. 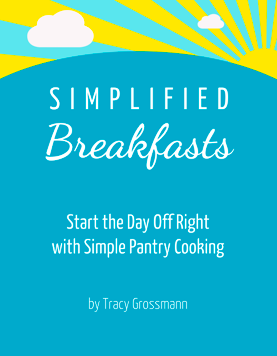 Get the shortcut to peace-of-mind in the grocery store and the midst of daily life with this straightforward approach to feeding everyone real, whole, healthy food, frugally and quickly. There is nothing elaborate in these books, just 30-minutes-or-less ways to put food on the table. Special Bonus! 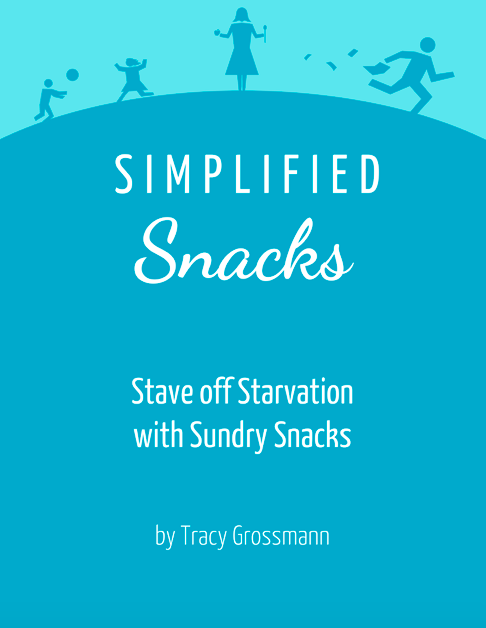 Buy both Simplified Lunches and Simplified Breakfasts and also receive Simplified Snacks as well!Simplified Snacks offers 5 go-to recipes to make snacks simple and satisfying, in a wholesome, pantry-basics way. You don't need to rely on packaged food. 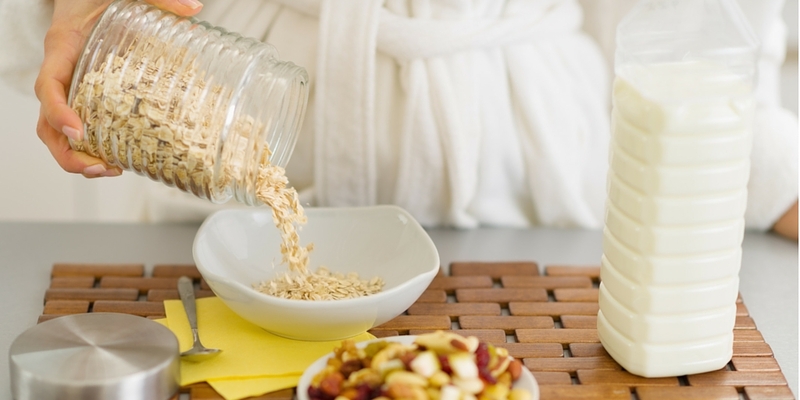 These snacks are so quick and easy, you can teach your kids to make them for you. 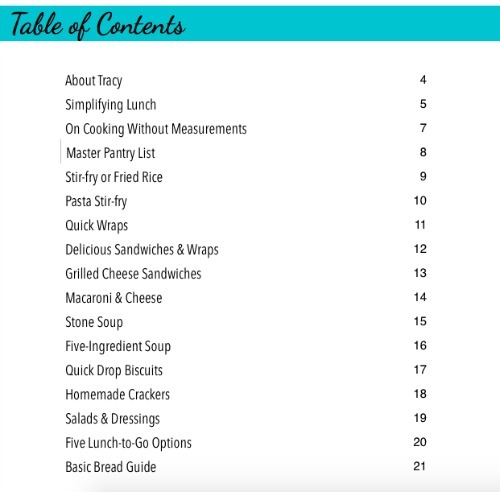 The best thing about the Simplified Pantry way of presenting "recipes" is that the flexible and customizable nature of cooking is emphasized, so you are freed to adjust the recipes according to what you have on hand and what your kids will eat. 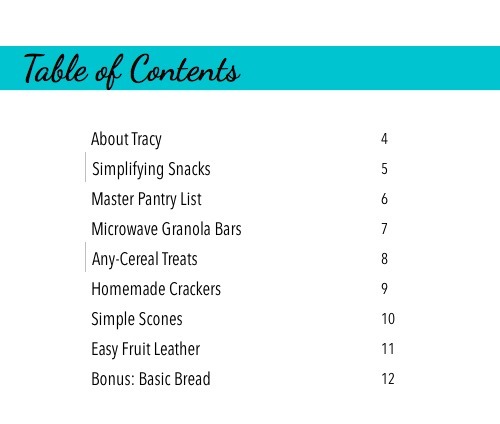 Simplified Pantry is all about encouraging homestyle cooking with basic ingredients. 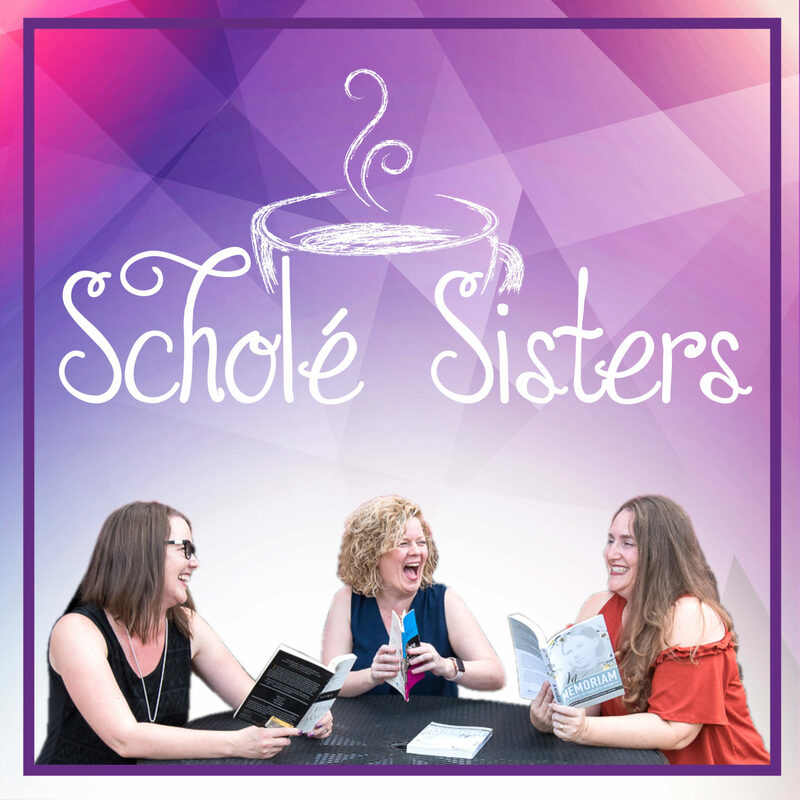 It is possible to cook good, healthy food without a pantry full of specialized ingredients, and it is possible to make easy dinners without shortcut, preprepared products – even for breakfasts & lunches!